In my previous article "Password Managers - 5 of the best reviewed! 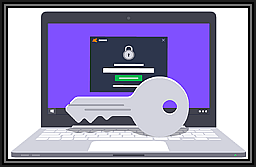 (Part 1)", I reviewed 5 of what I considered to be the best password managers available at the time of writing - both free and paid versions. As promised, this article provides (my) conclusions and recommendations as to which ones can co-exist together, and why it can be beneficial to not just rely on one solution. My motivation to write this 2 part article was to find out which of the password managers I reviewed could co-exist together, with as few annoying pop-up interferences as possible. The following five password managers were tried in a variety of combinations, in both Windows 7 Professional, and Windows 10 Professional installations using Virtual Machines that I set up and used for the express purpose of performing my tests. Note that to get a list of features provided by each of the password managers listed above, please refer to my first article. Website login procedures frequently change - Banks and Financial institutions in particular. When login screens change, your preferred password manager may not handle the change very well, but your backup one may do and will get you into your site without having to go to too much trouble until you can adjust your favorite. Who's to say (or can guarantee) that the same can't or won't happen with Password Managing sites? There are other reasons I like to use more than one Password Manager, but the reasons I've listed above are my main ones. For the sake of brevity, let me first explain which ones I tried that did work together, but in a way that I considered unacceptable because of the number of popups that I constantly got when I tried running two of any of the following turned on at the same time. Firstly, let me state that as per my Password Managers review, all of the above managers are excellent solutions when used on their own. They do their job exceptionally well once setup correctly and all have some excellent features, for both free and paid versions. With that said and made clear though, I couldn't configure any combination of the above to work together without getting a myriad of conflicting popups offering to save login passwords for me. They also clashed when going to a site that had been saved in both and in some cases, (although rare) also caused a browser freeze that could only be resolved by using Task Manager to end task on one or both of them. The one exception was Avast's Password Managing solution. It was the least annoying popup wise, and I only had to deal with the occasional popup when combined with any of the other three. I also tried using each of the four of them with my favorite password manager, RoboForm. Though not as many problems, the only way I could prevent multiple frustrating popups was to have either RoboForm or one of the above three turned off, (the exception here again was Avast) but even then, I still got unwanted popups because Dashlane, StickyPassword or 1Password would popup asking for the Master Password to be entered so they could log me into the site I was visiting. So in essence, they all worked, but not to my satisfaction because I found the number of popups I had to deal with to be annoying and too distracting. So which two work best together? This is the combination that gets my tick of approval and what I'm continuing to use right now! Both RoboForm and Avast Password Manager, the latter available for free with any version of Avast (even the Free one) I found to co-exist the best. I keep them on at all times and the popup problem is minimal to non-existent for the most part. I was pleased with the combination before I wrote the first review and continue to be pleased with it now after trying three others. When logging into a new website for the first time, both will offer to save your login information for you, and all it takes is one click on both of their Save buttons and you're done. To illustrate what I mean, I deleted the saved login information for my LinkedIn account on both RoboForm and Avast Password Managers and then took screenshots of the entire process of saving my login information in both managers below. 4. And that's it, I was done! 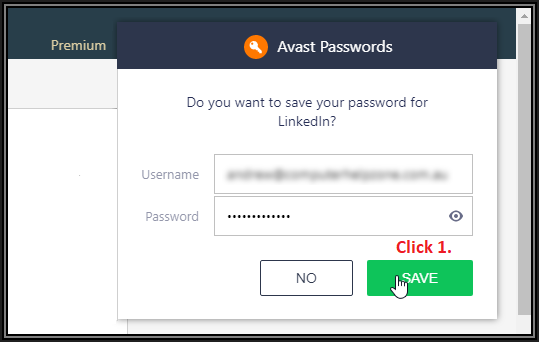 Logging back out of LinkedIn and then going back to the LinkedIn home page, Avast was the first to respond and just automatically entered my login details for me. All I needed to do was click the "Sign in" button and I was logged back in. No annoying popups or prompts from Roboform at all. The same was true for every other website that I tried. If I decided to use RoboForms "Logins Menu" to browse the site and have it automatically log me in, Avast never bothers me with any annoying popups at all. It just accepts that RoboForm had already logged me in and stays quiet in the background, realizing there is nothing it needs to do. For me, the beauty of this system for me is that sometimes when a website changes its login process (as mentioned happens occasionally earlier), Avast will almost always still pick up the Log In fields in the changed page and automatically fill in my saved login details. 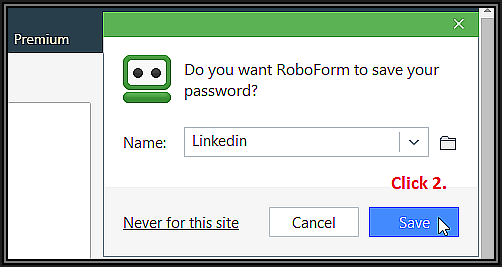 As soon as I'm logged in, RoboForm then pops up and offers to update the login saved to that website, to which I click yes, so the next time, it works fine with Roboform as well. These two excellent Password Managers are a perfect combination and I recommend using the both of them, turned on all the time, without any reservations whatsoever. Both will allow synchronizing your passwords across different devices and I even trust Avast with my Credit Card details, so that when I want to make an online purchase the I want to pay by credit card, I simply select the saved card in Avast I want to use, and it fills in all the correct details for me. A brilliant time-saving feature and totally secure! In truth, I actually thought I could achieve similar results that RoboForm and Avast Password Managers give me with the other three reviewed as well, but many hours of testing proved that though it's possible to use two of the others simultaneously, they're simply not as convenient and work as well together as RoboForm and Avast.